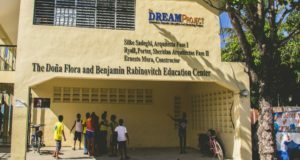 The Dominican Republic Education and Mentoring (DREAM) Project is an amazing nonprofit organization thats focuses on early childhood education, high quality primary education, holistic youth development, as well as cultural enrichment to thousands of unpriviledged youth in the Caribbean island. The “dream” started in 1995 when a group of Dartmouth College students came down for a semester to volunteer in the two public schools in Cabarete, Dominican Republic. Today, DREAM helps more than 6,000 children receive a better education through its 14 programs in 15 different communities, affecting the lives of over 7,000 community members. The non-profit will host its 4th Annual NYC Benefit, Sueños 2015, on November 12th in the 40/40 Club in Manhattan. Sueños 2015 will be presented by Grammy Award Winner Henry Santos of Aventura and Grammy Nominated singer and Bachata sensation Leslie Grace, who have become Ambassadors of DREAM’s impactful programs by visitng the non-profit’s bachata school in the Dominican Republic this past summer. This highly anticipated event will bring together New York’s most prominent philanthropists, celebrities and invited guests, such as Pulitzer Prize Winner Junot Díaz, TV and Radio fashion personality Carlos Lamarche, UFC’s Alex Garcia, recent SAG award winning cast members of Orange is the New Black and many more. This year, the organization will honor Major League Baseball All-Star Robinson Cano, for his exceptional work supporting Dominican youth through his RC22 Foundation. Tickets are available at: www.dominicandream.org. You can follow the non-profit @thedreamproject and with the hashtags #DominicanSuenos and #DREAMNYC2015. 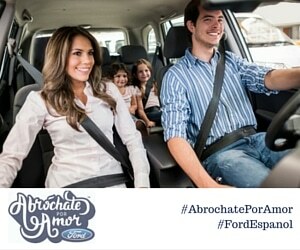 This entry was posted in For Mothers & Tias, Parenting Teens, Raising Tweens, Teaching & Education Tips and tagged Dominican Republic, DREAM Project, Henry Santos, Leslie Grace. Bookmark the permalink.